Bullying can occur in many different forms. It can often be subtle, but no less harmful. 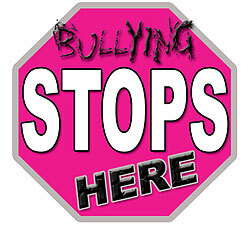 If you are targeted by a student, co-worker, or supervisor in a manner that is disrespectful, offensive, belittling, racist, sexist, homophobic or transphobic, it is bullying. If you are ignored, isolated, or gossiped about, or made to feel very uncomfortable by a student, co-worker, or supervisor at work, this is also bullying. We believe that bullying in any form is UNACCEPTABLE. Everybody has the right to a safe environment where he/she is treated with dignity and respect. The Anti-Bullying Coalition at Brock is an open group of workers, students and community members from Brock and other local institutions (i.e. Niagara College) and we are concerned about the increasing incidents of bullying reported on campus. We need your help to understand the nature of this problem so that we can fix it. This coalition is open to anybody: you do not need to be a CUPE 4207 member. You can be a student, worker, community member of Brock.